The Fix for Whatever Ails Ya: Threshing Bees! Got a little too enthusiastic a couple week’s back unloading the latest 170 pound bargain of steel racking from Costco, followed by a couple days of sore right hip and lower back. Pretty much recovered, then yesterday I decided just puttin’ the R80ST on it’s centerstand wasn’t enough, I had to put it on the centerstand with a one by six board underneath… Back in pain and didn’t fall asleep ’til 2 am. Got up at 8 this mornin’, figured I may as well try to pull myself together, get on the Yamaha, and make the Butterfield Threshing Bee. Couple hours later I rode onto the grounds, took off my gear and unstrapped my cane, and was hobblin’ the grounds. What’s not to like? I’m not sure what the heck it is, but I never seen or even heard of one before, looks to be an early four wheel drive tractor, so early that it’s on steel wheels! 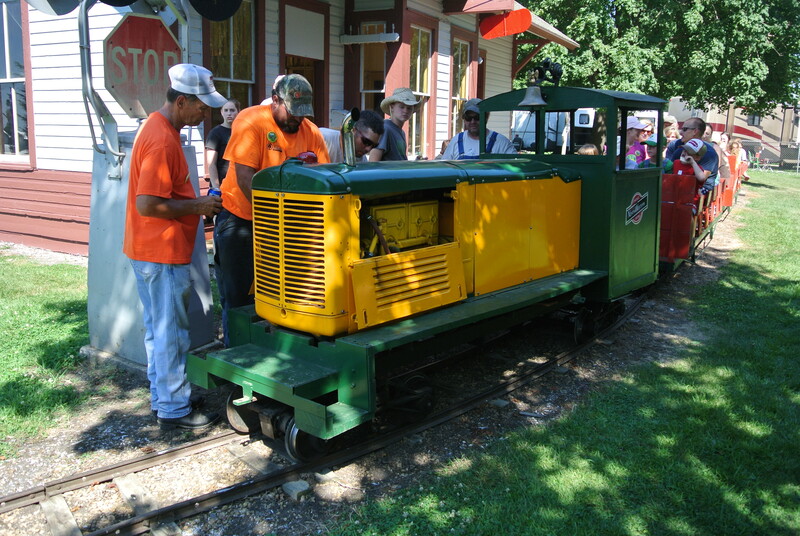 One of the ways I judge an event is by whether or not I see a machine I’ve never seen before, at this event I saw several. 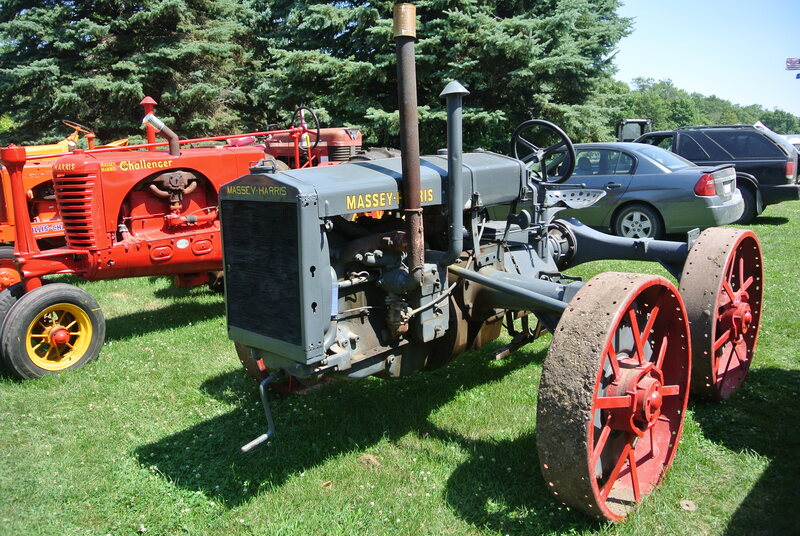 Besides this mystery Massey, there was a Gibson as well as several unheard of smaller tractors that may or may not have been series produced. As always, gotta make the best of what life hands ya… Gonna check the weather in the morning and if it don’t look to severe I’ll head back to the threshing bee!